KATHMANDU, Dec 01: Pemba Dorje Sherpa from Nepal who holds the Guinness World Record of summiting the Mount Everest while he was 13 years is set to be stripped off the title. The Supreme Court of Nepal is set to annul the title as it has claimed that the evidences submitted by him to the government authorities are invalid. The apex court issued an order seeking annulment of the fastest Mt Everest ascent record maintained in the name of Pemba Dorje after another climber Lakpa Gelu Sherpa, who also claimed the summit record with a time of 10 hours and 56 minutes in 2003, challenged Pemba Dorje’s claim. The SC also found that the mountaineering division under the Ministry of Culture, Tourism and Civil Aviation issued a summit certificate to Sherpa without verifying his claims as per the Tourism Act and the Mountaineering Regulation. Senior advocates Hari Shankar Niraula and Bhairab Raj Pant pleaded for the petitioner while deputy attorney Kiran Poudel defended the government’s move before the court. “Now, Lakpa Gelu holds the world record of the fastest Everest summiteer,” according to Khojindra Prasad Ghimire, who was present on behalf of Sherpa before the court. Lakpa Gelu Sherpa had filed a case at SC against MoCTCA, Pemba Dorje and two others in December, 2013. The summit time is generally counted once a climber leaves from the base camp for the summit and returns. Many veteran climbers considered that climbing Mt Everest in eight or 10 hours was a mere joke. There were no liaison officer’s report as well as photographic evidence to show that Sherpa was at the top of Mt Everest within the stated timeframe, SC order stated. 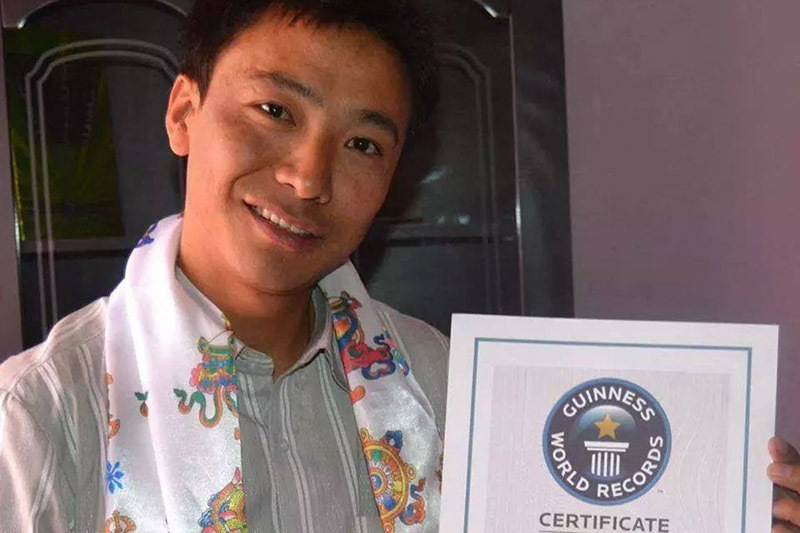 The Guinness World Records had also awarded Sherpa with the certificate of the fastest climber after ‘thoroughly verifying’ his claims in 2004. “I am not aware of the SC order,” Sherpa, who had climbed Mt Everest along with another record holder climber Apa Sherpa in 2004, reacted. Petitioner Lakpa Gelu, who is now in US, was not available for comment. It is almost certain that the Sherpa mountaineer will be formally stripped of his title of the world’s fastest Mt Everest summitteer soon.